Browse our inventory of 7 new Kia Sorentos for sale, and contact us today to set up a test drive near Longview at Warrenton Kia! Is the Kia Sorento a Good Car? In a word, yes! Edmunds calls the new Kia Sorento “a strong SUV for the money,” and that’s what families in Astoria are looking for in a spacious 3-row SUV. Plus, with the Sorento, you’ll have access to a powerful 3.3L V6 engine that generates 290 hp and 267 lb-ft of torque which can be sent to an optional all-wheel drive (AWD) system; this makes the Sorento not only larger but also more powerful than the Hyundai Santa Fe and more efficient than the Toyota Highlander. 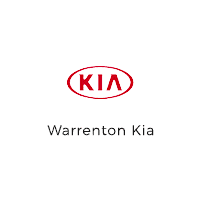 Compare different Sorento trims, like the popular Sorento LX and EX, and finance or lease the new Kia Sorento today at Warrenton Kia. We have a variety of affordable options available by way of our rotating selection of new Kia deals and offers and incentives, as well as our inventory of high-quality used Kia Sorento SUVs.